Designed by Alessandro Michele, taken from his latest collection for the label. Hi there! little update regarding my 2nd feature documentary - Currently crowdfunding at Indiegogo! Damo Suzuki reflects on his life as he confronts cancer and attempts to resume a never-ending tour. New Perk - 9 Days left to reach our goal to tell this amazing story ! Thanks everyone for sharing!!! have provided us with 10 Limited Edition Vinyls! "On a warm night in June 2013 Damo set down in Nanaimo, BC for an epic night of long heavy space rock jams in front of a rabid sold-out crowd. Two synth stations, fuzzed-out guitars, three drummers and pummeling bass coalesced behind Damo's commanding presence, the result was a sprawling, transcendent, seamless soundscape. Backed by Moths & Locusts and joined by members of Wolf Parade, and Colliding Canyons.'" Also video update message from myself on 8.06.2018. - Thanks again Michelle Heighway- Director of E n e r g y ! We require 100 media connects for it to create the blast in 2 days!.It is a cool way to blast out in one moment and to be viewed by 1000's! Thanks so much , it will help us spread the word about our film and help us reach our goal! Thanks so much to everyone for all your help so far ! Check out the cool merch below on our campaign! BIG THANKS TO ALL OUR CONTRIBUTORS THIS WEEK! We are now 34% funded, we are really happy to see everyone sharing our campaign! We look forward to engaging with you all! Welcome to the Team - Michael Schmidt! We are very grateful to have Michael Schmidt become part of the team. Michael Schmidt was born and raised in Germany. However has been working all around the globe for the last 20 years and has lived in the UK and in the USA. Michael Schmidt is consultant and entrepreneur in the Life Science industry, Working in Switzerland and the USA, helping clients to understand how technology will change the healthcare system from treatment to prevention, and how to bring better medicines to those patients in need. Micheal has a great passion for visual and auditory arts. 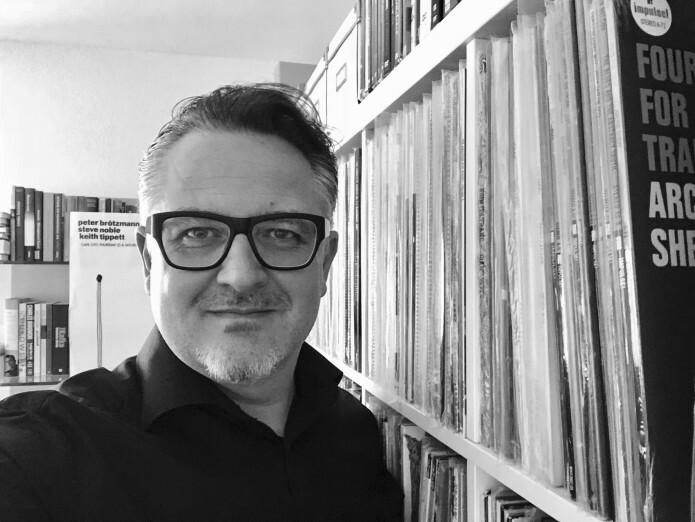 He is a devoted collector of vinyl records, specifically in the areas of Jazz and Progressive/Krautrock, and has been following Damo Suzuki and his life for decades. We are now 33% funded, we are really happy to see everyone sharing our campaign! We look forward to engaging with you all! Be sure to check out our awesome t -shirt designs and other perks. Big thanks to members of Damo Suzuki's Network for helping with the t-shirt designs /posters and for sharing our news all over the globe! Really excited today as we launch our crowdfunding campaign over at indiegogo! Check it out here to see our Limited Edition merchandise and other goodies! Energy - Campaign Trailer from Michelle Heighway on Vimeo. thanks for dropping by Michelle , Damo and Elke! 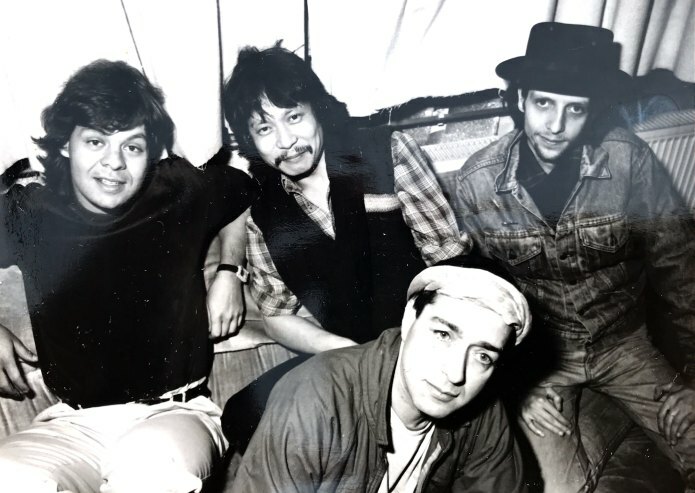 Damo Suzuki’s never-ending world tour has resulted in some of the most spontaneous and exciting shows in modern music, with the singer enlisting on-the-spot backing bands in cities across the UK, Europe and America. By working with a constantly-changing network of ‘sound carriers’, Suzuki has been touring the world as a unique presence for 20 years. But his movements came to a stop when, in 2014, he was diagnosed with cancer. “The documentary is a wonderful story of hope,” says director Michelle Heighway. "It’s a personal portrait of the life and times of a nomad, poet and enigmatic singer on an incredible journey.” Heighway, whose critically-acclaimed debut Mr Somebody? was selected for the Sheffield Documentary Festival and Leeds International Film Festival, spent four years with Suzuki to create this colourful, thought-provoking and free-thinking film, one which finds the viewer willing Suzuki the strength to continue. Expected release date of December 2019. The Energy crowdfunder perks include Limited Edition T-shirts/Mugs/ DVD pre orders and original artwork designed by Damo Suzuki’s Network. Pre order the new album above! If you would like a quote please e mail me via the Contact Form. Check out SHAKS SPECIALIST CARS - Huddersfield - Click View on Google Maps for Full Scale View. 360 Virtual Tours enable you to showcase and boost the SEO of your business via Google, Google Maps and Google+. You can also add the tour to your website and Facebook header! The more you use the tour , the more impact you will see for your business! 360 Virtual Business Tours have been proven to increase sales and visits, the beauty of the tours are that they show people exactly what you have to offer as a business.